Ignorant city boy plans spring garden. Yeah, I know it’s just a pile of dirt. 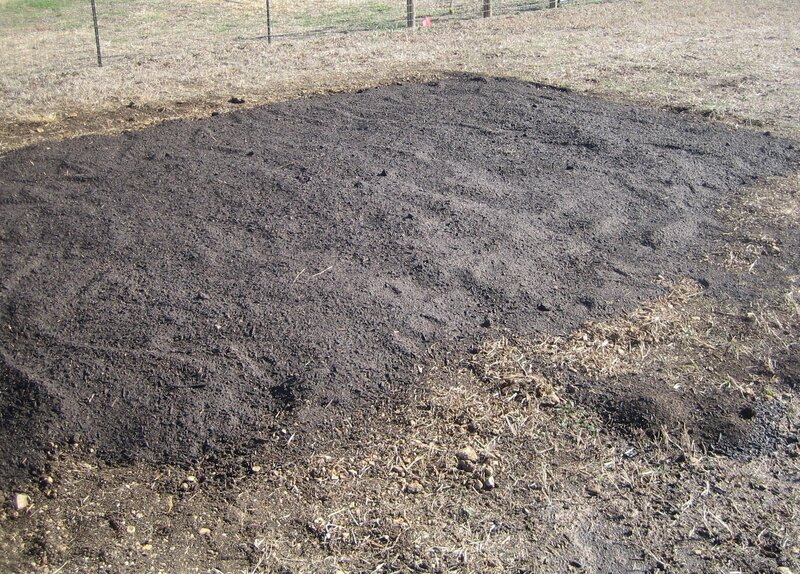 Maybe, if you squint your eyes just right, you will be able to tell that I’ve spent several hours preparing this pile of dirt so that it, one day, might be a garden. If not a garden, maybe an enhanced environment for weeds and bugs. My bride, who actually, knows something about growing things has been providing advice. Deep down, I know she is right about all the recommended preparations and soil enhancements and fertilizers, and so on. The problem is I keep thinking there are all kinds of plants just growing out there in wilderness areas not prepared by man. So why work so hard? For her sake, I loosened the first 3-4 inches of ground, removed some of the larger rocks, brought in a pick-up truck load of compost soil, and mixed it in slightly with the loosed native soil. The word “mixed” probably makes it sound better than it was actually done. I don’t have a tiller, and I’m too lazy and cheap to drive to town to rent one (after all, this isn’t a bicycle project). So I sort of turned the new in with the old with a shovel and garden fork. I was wearing my overalls while doing this so it’s close enough, I think. It’s not a garden, but it might be one day. The locals tell me that potatoes and onions should be planted next month. If my new dirt doesn’t blow away in all this prairie wind, I might be ready. Stay tuned, this could be amusing.